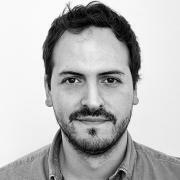 Lucas holds a Bachelor's degree in Communications and has professional experience in Marketing and Advertising in three Latin American markets (Peru, Chile and Colombia). He works as Marketing Manager for Falabella in Colombia. Falabella is a department store chain with headquarters in Chile with more than 125 years in the industry. He is considered a team leader in the organization who always encourages his team to maximize their potential and to be creative. He wants to generate a positive impact in his team and the company by constantly looking for changes and innovation. Lucas was born in Lima, Peru and has been living 10 years abroad.